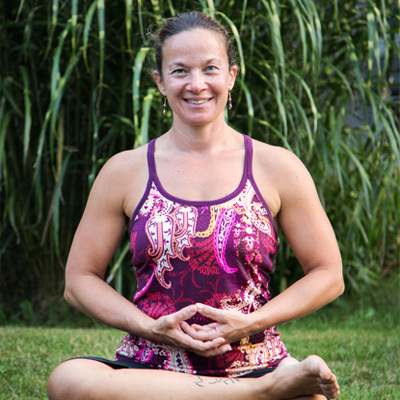 Dawn Spunzo is a graduate of the Kind Yoga School 200 Hour Teacher Training Program and teaches Hatha, Restorative and Yin Yoga to a diverse group of students at a variety of locations on Cape Cod. She has enjoyed and practiced yoga for 12 years, and has a lifelong love of athletics and the outdoors. Dawn's objective is to lead and encourage groups of all ages and levels to experience the health benefits of yoga and bring attention to proper alignment, the breath, and balancing Yang movement with Yin stillness. Check out her website (thedawnofyoga.com) for her full schedule. Read a Q&A with Dawn here.